Another new location checked off the list! I’ve lived in Portland for years, and somehow hadn’t been here until a couple weeks ago. Shot this one as a 4 image vertical Pano and love the way it came together. As anyone who knows me has come to expect, my feet were in the icy water to get this image. Thank you so much Carlos, this is definitely one worth a visit! 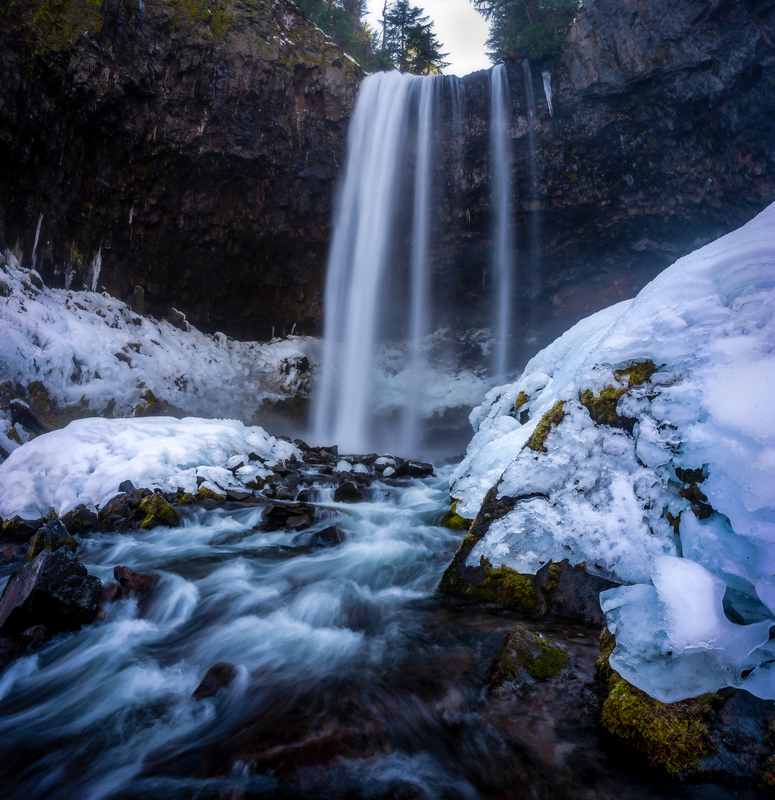 I like how you made this composition more about the foreground ice and flowing water, instead of the actual waterfall itself. The foreground has a nice cool winter feel to it. And your shutter speed was right on the money here for the flowing water. I lost the feeling in my feet just reading this. Lovely patterns in that ice Dan!